The plan is to shut off computer/TV etc from 8pm each evening and read until sleep calls. So it should be around 3 hours each week day. Hopefully I can read ALL weekend too. 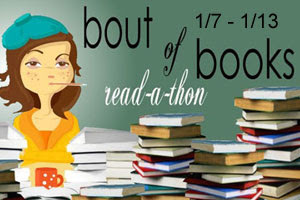 For the first time ever, I do not have book group during Bout of Books! Read 6 books, visit some blogs, participate in the Twitter chats and most importantly, have fun. I'm never any good at completing challenges but there are a few I will make an effort to do. 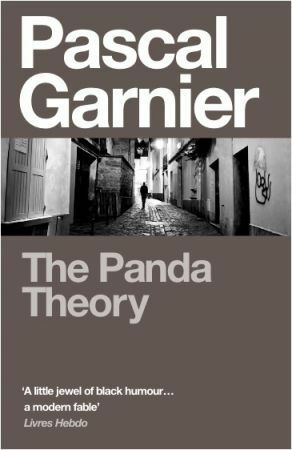 I wanted to start with The Panda Theory but was running later for work and couldn't find it. That meant I grabbed by Kindle on the way out and makes it harder for my page count. Typical. Twitter chat was great fun and I've followed a bunch of new faces although it cut into my reading time a bit as I wasn't ready to down everything at 8pm! First sentence read*: The limousine taking Rebecca Reynolds and Lewis Taylor to the funeral had stalled in the middle of an intersection. Last sentence read: The only area that needed work was her relationship with her only child, Aberystwyth, whom she had not seen since leaving the water behind. *I will star out words if I think these sentences contain spoilers. I broke my vow to avoid the internet after 8pm. Hence my reading is about the same as Monday. Slight improvement and at least I finished one book! Also found Jo Nesbo's Phantom in Tesco for £2.99 FTW. First sentence read: After graduating from an Aquatic seminary, Margaret had received her first parish in the farming community of Nowwlk. Last sentence read: He would have preferred to ignore him so that he could eat as much as possible of this food, to stare round at the oil paintings on the wall, the bay window that opened on to a sweeping lawn, to absorb the revelation that he was sleeping with a girl who still addressed her parents as 'Mummy' and 'Daddy'. I got a bit distracted today, first with cooking teriyaki salmon for myself (YUM) and then when I saw some must read books had started dropping on people's doorsteps. Excitement! So I only really spent 2 hours reading (lunch time reading was a write-off). Liking Heatwave but it seems to be a lot of character development and not a lot of story so far. First sentence read: But they would not give up. Last sentence read: He has never, it seems, encountered anything more appetising than his aunt's warm meat paste sarnies. Fantastic book post arrived and I read a few first pages that aren't included in my reading. Cannot wait to get to the new Patrick Ness. SQUEE! 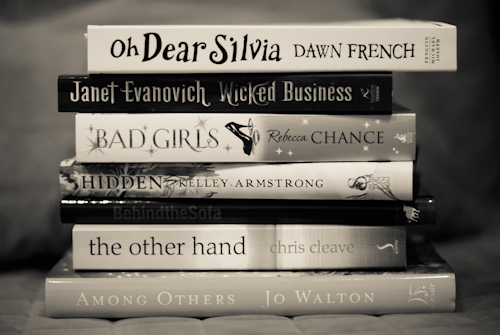 I did manage to finish my second book of the readathon and even did the book spine poem challenge. No commenting on other blogs though, will promise to catch-up over the weekend. 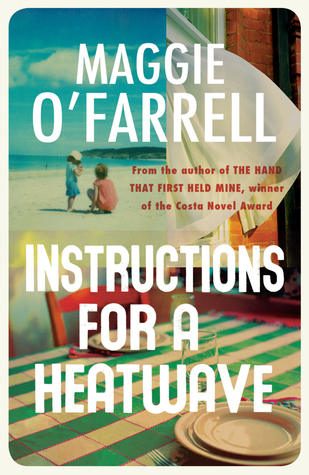 First sentence read: Just when his mouth is as full as it can physically be, Aoife appears in the doorway. Last sentence read: "It is," she says. I watched Extremely Loud and Incredibly Close which is sort of connected to books as it is an adaptation. Mastermind is interesting but requires me to pay extra attention and therefore slow me down. I may read a little bit of fiction before I go back to it (just to help the numbers). First sentence read: When I was little, my dad used to read us Sherlock Holmes stories before bed. Last sentence read: Watson, on the other hand, is not so careful. This is more like it! Today also proves that work is the number one enemy of the readathon. Even though I didn't really start reading until the afternoon (haircut, parental phone call, broken DVD player) I actually managed to get caught up on my goals. Just one book to go (and surprisingly I haven't wandered from my list). First sentence read: Consider again the missing boy and the German schoolmaster. Last sentence read: And the next. My word count looks really pathetic and that's because I forsaked reading time for a bit of a reviewathon. I wrote FIVE reviews! Which got me up-to-date on everything I read over Christmas. I'd also been neglecting housework all week so had to fit in the boring stuff too. However, I do thing I can implement a three book weekend on a regular basis. I know one of them was tiny but I really spent a lot of time not reading as well. So unless I have something important (or more fun) to do, i don't see why I can't concentrate on reading more at the weekend. Of course, if I'm reading a monster it may just be a one monster weekend but that would still be better than spending all week on it. Was lovely to meet some new faces on Twitter and I will be checking out your blogs to see what your everyday content is like over the next few days. First sentence read: Lying on a thin coat of snow, she sees gray earth meeting grey sky, and she knows she's back. Last sentence read: He doesn't know. Well I have amazed myself to sticking to my reading list. Whilst I didn't read all six, I did start of the sixth and it was a conscious choice to do other things on the last day. Twitter chats = 2 HUZZAH! Blog visitation: I think I popped by a few blogs every day and said hi. Followed some new people on Twitter too. I'm pretty sure I'm RSS following Coffee Bean Bookshelf and Student Spyglass. Technology curfew: I did sneak onto Twitter a few times after 8pm but the laptop was off and no watching of Big Bang Theory in this time (and my DVD player broke which helped matters). It's generally a good thing to do on a regular basis and I will keep it up for at least half the week going forward. I like your plans... I'm hoping to stay away from my computer for as many nights as possible ;) Good luck! i've added the goals "commenting" on other participants blog so even if i'm already starting it means having the computer on but i want to read at least 2books! Good luck with your reading goals- I love your list of books there! I like the idea of shutting off the TV- I think I need to put away my laptop at 8 each night as well, so I have more time for reading. Good luck with your goals! I like the idea of having a set no-computer time designated for reading...I may have to give that a try!! Wow, Fuse*_* I want it! Good luck! Fuse and Hysteria look great! I better get a move-on and read Pure! 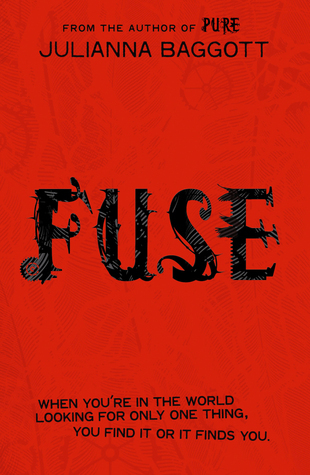 I had no idea that that the next one, Fuse, will be out soon! 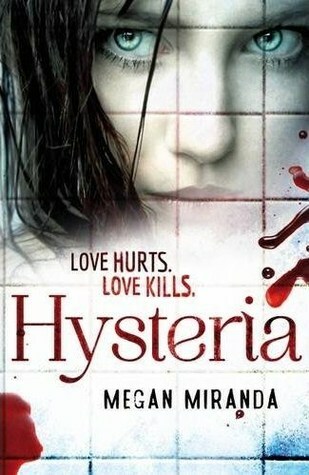 It looks awesome, and so does Hysteria! I'm adding both to my Wishlist. Love your choice of books! Good Luck! Just hoping through to say good luck! :) Got to get back to reading! I'm also hoping to scale back on the internet to do more reading. Good luck with you goals. I was hoping to force myself off the internet as well, but it is so tempting. But you did an excellent job with reading on Monday. Even with breaking you no internet after 8pm you did a great job. I just feel a bit like I'm not reading any mopre than a normal week. I must have reached my reading saturation point! I can manage more only on caffiene fueled 24 hour readathons it seems. Maybe I will take that approach at the weekend (but with *some* sleep). I think you would love Andrew Kaufman. 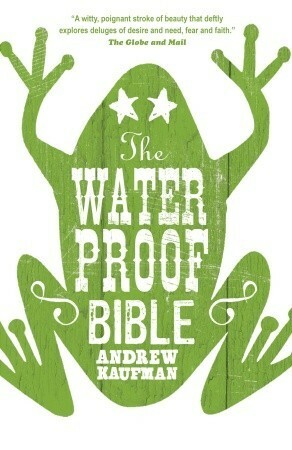 The Waterproof Bible isn't his best but he is wonderfully odd. I feel like that too. I usually get 2-3 books read during a 24-hour read-a-thon because it's so focussed, but with BoB I tend to get caught up in the social side and spend a lot more time online! Puffing up my feathers as we speak ;) And Mastermind is self-advancement, so it's sort of allowed! I do want to read ALL THE SHERLOCK now. I shall schedule it into the all-new 3 Book Weekend. The internet is hard to stay away from. Good luck! I like your plan! Should be a good way to get in some extra reading. Your plan is pretty much like mine-I shut down around 9 pm and read until I can no longer keep my eyes open. 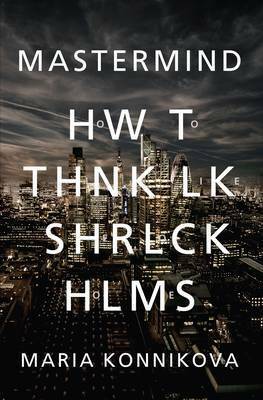 How to think like Sherlock sounds like an interesting read! I'll look into it. Thanks! What did you think of Extremely Loud and Incredibly Close (the movie, I mean)? I went and saw it in theaters and I was crying almost all the way through...I loved it! I started snuffling from the phone messages. Much more emotional than the book. I know a lot of people don't like it because the boy actor is annoying but I thought Oskar was meant to be an annoying and socially awkward boy anyway!